Starting at sundown on Saturday, December 8, and continuing through Sunday, December 16, Jews around the world will be playing dreidel, lighting the menorah, singing songs, eating special foods, and observing the holiday in joyous celebration. Menorahs are lit at sundown each night for eight consecutive nights and range in styles and motifs from conservative to whimsical. (http://www.menorah.com/catalog2/shopdisplaycategories.asp?id=32&cat=+Menorahs) A menorah must have nine holders for candles or olive oil (burned with small floating wicks) – one for each night plus an extra one for the ‘helper,’ or shamash, used to light the others. Whereas Sabbath, or Shabbat, candles are lit in Jewish homes weekly, lighting the menorah is different because it does not usher in a holy period of time but instead commemorates a significant historical episode. Therefore, Hanukkah does not bring the same kinds of restrictions as Sabbath and is not even mentioned in the Torah; the events that inspired Hanukkah occurred after the Torah was written. From night number one through day number eight, Hanukkah is a festive holiday. Although giving gifts on Hanukkah is not really mandated at all, doing so adds to the excitement of the season — as does sending Hanukkah wishes to friends and family. Send your Hanukkah e-greetings today! Although Hanukkah is celebrated with much fanfare, it is actually a minor holiday in the Jewish calendar. 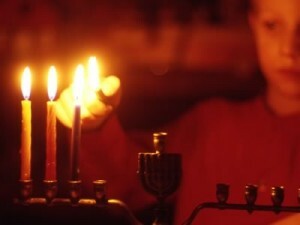 Lighting the menorah, spinning the dreidel and feasting on latkes are some of the traditions associated with Hanukkah. This eight day and night “Festival of Lights,” starting at sundown on the 25th of Kislev (ninth month in the Jewish lunar calendar—December 20th in 2011), is rooted in second centuryJerusalem. Hanukkah, or “dedication” in Hebrew, recognizes the defeat of the Syrians-Greeks by the Jews in 165 B.C. In an uprising led by High Priest Mattathias, the Jews reclaimed their Holy Temple and purified it, burning ritual oil that lasted a miraculous eight days in the Temple’s menorah. To commemorate the Jews’ victory, a candelabrum called a hanukkiyah holds a total of nine candles – four candles on either side of a taller candle in the center. Each of the eight candles is lit by the ninth, symbolizing the eight days of the Temple purification. During the Syrian takeover, study of the Torah was outlawed. To study secretly without getting caught, spinning tops called dreidels were kept nearby. If spotted, Jews could always claim they’d been playing with the dreidel to avoid punishment. 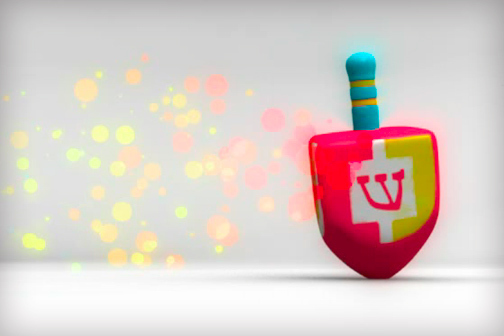 The dreidel spins like a top and has four flat sides with Hebrew letters on each side: nun, gimel, hay, and shin. These letters represent, “Nes gadol haya sham,” which translates into, “A great miracle happened there,” orIsrael. These letters are also part of a driedel game using gelt, or chocolate coins. All players start with the same number of coins, putting one into a pot at the beginning. The dreidel is spun, and depending on which side turns up, coins are either added, half the pot or the whole pot of coins is awarded to the player who spun, or nothing is done at all. The game is over when one player wins all the coins. Traditional foods commonly associated with Hanukkah are cooked in oil, in memory of the re-dedication of the holyTemple. These include latkes, or potato pancakes, believed to have come fromEastern Europe. From Israel, jelly donuts called sufganiyas are also cooked in oil. As this historic season approaches, take a moment to reflect on all that became a part of the tradition, and the many who fought and sacrificed to reclaim their culture and celebrate it today. 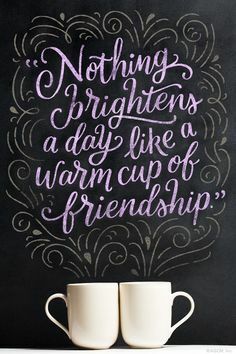 Send a Hanukkah eCard today and let friends and loved ones know you’re thinking about them during this special holiday!